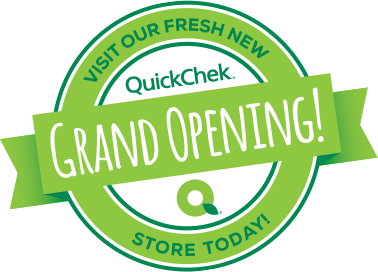 At QuickChek, we’re committed to bringing fresh convenience to all our friends and neighbors. That’s why we’re dedicated to opening 8-10 new stores a year to share our love for fresh, quality food and drink and excellent customer service. Check out our latest new store announcements or sign up to receive Grand Opening updates. Fresh, legendary subs—always made to order. At QuickChek you call the shots when it comes to getting the sub you want. Premium ingredients: Check. The best bread: Check. Fresh veggies and toppings: Double-check. Get the sub you love, made the way you want.